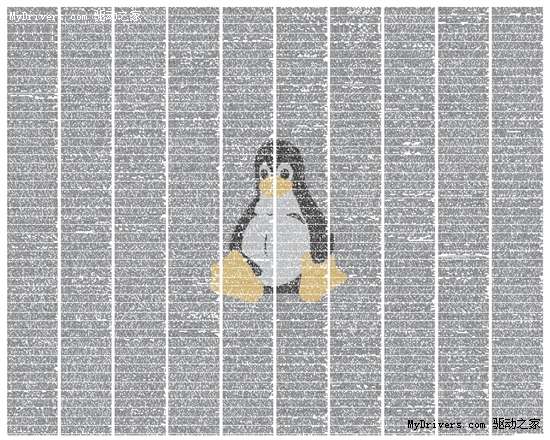 Linux kernel 2.6.39 released - Update Now ! After just 65 days of development, Linus Torvalds has released version 2.6.39 of the Linux kernel. The new release includes support for ipset which simplified firewall configuration and deployment by allowing updatable and quickly searchable external tables to be used by the network filtering. Interrupt handling can now be handled almost entirely by kernel threads, the ext4 file system and block layers are now able to scale better and show better performance and the kernel now includes a network backend for Xen virtualisation. As always, the new kernel brings hundreds of new or enhanced drivers. For example, support for AMD's current "Cayman" family of high end graphics cards and GPUs arrived with a simple DRM/KMS driver. Also new in this release are drivers for the function keys of Samsung notebooks and the Realtek RTL8192CU and RTL8188CU Wi-Fi chips. The latest Linux kernel offers drivers for AMD's current high-end graphics chips and ipsets that simplify firewall implementation and maintenance. The Ext4 file system and the block layer are now said to work faster and offer improved scalability. Hundreds of new or improved drivers enhance the kernel's hardware support. Version 2.6.39 once again took Linus Torvalds and his fellow developers less than 70 days to complete. This is further indication of a slight, though ever more apparent, increase in the kernel's development speed, as about 80 to 90 days still passed between the release of two versions one or two years ago. With 2.6.39, this also meant that there was a slight decrease in the number of advancements which are worth mentioning in the Kernel Log; however, there are still plenty of changes that will make Linux faster and better. This article will provide a brief description of the new Linux version's most important improvements. Many of these improvements affect not only servers but also notebooks and desktop PCs. The distribution kernels will bring the improvements to the majority of Linux systems in the short or medium term, as these kernels are based on the kernels released by Linus Torvalds. The Radeon driver of kernel version 2.6.39 will support the Cayman family of graphics chips that AMD is using, models such as the current Radeon HD 6790 to 6970 cards (see 1, 2). However, these cards' 2D and 3D acceleration features are unavailable because there is no DRM support; future kernel versions will fix this problem. The Nouveau driver for NVIDIA GPUs now supports Z compression. The developers have also fixed a performance issue that reportedly reduced performance by 10 to 30 per cent. The developers of the graphics drivers for Intel chips have made numerous minor changes; some of them reduce the power consumption of recent graphics cores (see 1, 2, 3) or improve performance in certain situations. The developers have added a rudimentary graphics driver for the GMA500, a graphics device that was previously considered a big problem under Linux. It is included in Intel's US15W ("Poulsbo") chipset, which was originally designed for the embedded market but is used in netbooks by some manufacturers.